Tuesday Night at The Garden: Carnivorous plants and spider fighting? Can a presentation on carnivorous plants be a part of a night of spiritual growth? It can when it’s a feature of Tuesday Night at The Garden in Brisbane, Australia, according to new campus minister Carly Kies. 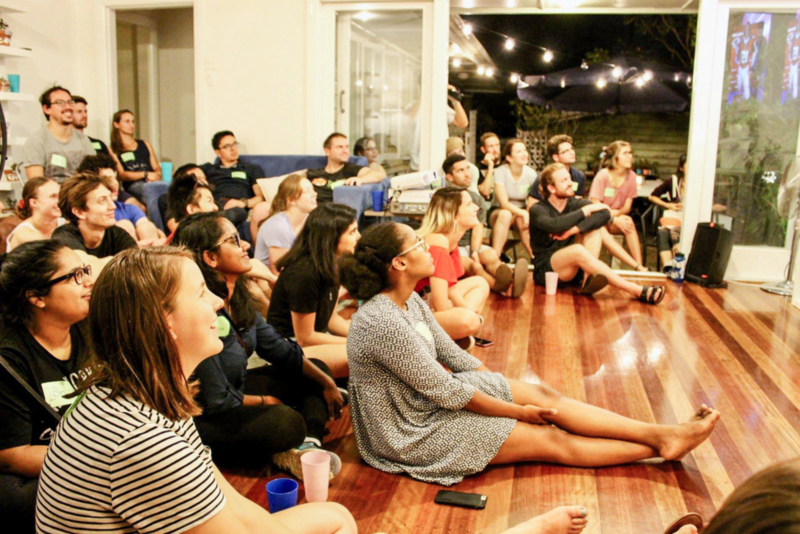 Carly arrived in Brisbane to serve with the Globalscope campus ministry team just a few weeks ago, but is already settling in, exploring and meeting lots of new people. “Every Tuesday, a different student presents on something he or she is passionate about,” she said. “This includes everything and more than you can think of! So far, we’ve learned about carnivorous plants, travel videos, singing, and — coming soon — spider fighting! 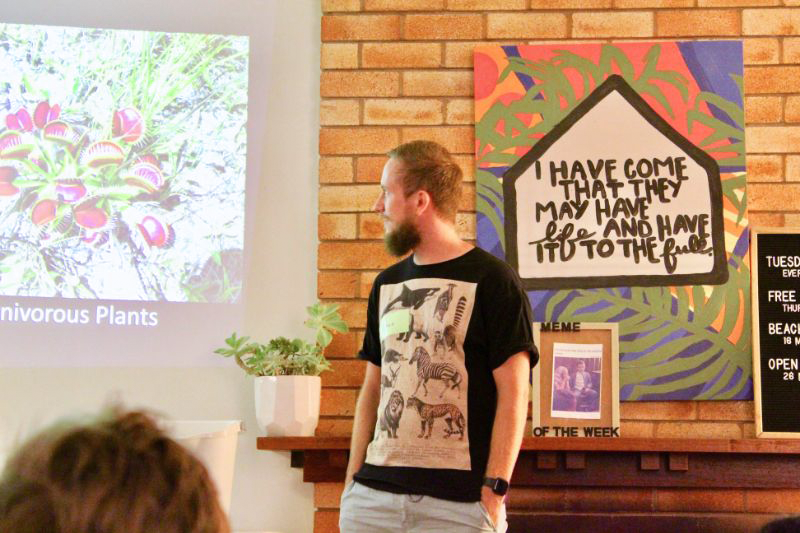 Ethan shared about his passion for carnivorous plants recently at The Garden in Brisbane, Australia.